While Greenwich is an ideal getaway destination for couples, families will also find plenty of things to see and do in this historic New England town. We understand that finding activities everyone in the family will love can be a bit of a challenge. That’s why we’ve already done the research and put together a list of fantastic day trips in CT for families! Whether you choose one of these activities or decide to try them all, you’re sure to make memories that will last a lifetime. Find even more ideas for day trips in CT for families in our free Greenwich Vacation Guide! It’s also filled with all the best suggestions for local dining, shopping, attractions, and more. Located in Bridgeport, CT, Beardsley Zoo is the only one in the state of Connecticut and features over 300 animals including big cats, barn animals, reptiles, and birds. The zoo also offers annual events, educational programs, and a Peacock Cafe where guests can stop and have lunch. Be sure to bring the kids for a spin on the colorful indoor carousel before you leave! Dubbed the best family attraction in New England, this nationally recognized aquarium focuses on the fascinating marine life native to the Long Island Sound including sharks, seals, river otters, sea turtles, and thousands of other animals. The Maritime Aquarium also offers public cruises out onto the Sound, special exhibits, and Connecticut’s largest IMAX movie theater. With a wide variety of attractions like an 18-hole mini golf course, laser tag arena, interactive bowling alley, arcade, and baseball batting cages, the Sports Center of Connecticut is one of the most fun places for kids. Families can challenge each other to a bowling, mini golf, or a few laps around the double-decker ice skating arena. It is the only ice rink of it’s kind in the world! You could spend an entire day experiencing all there is to do at this fun-filled attraction! 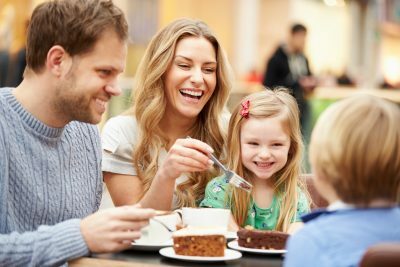 In terms of fun places to take your family in Connecticut, the Stamford Museum and Nature Center is one of the best options! This Stamford treasure boasts a working farm, museum, gallery, an interactive nature center, and tons of outdoor trails. The kids will especially love Heckscher Farm where they can pet and romp around with dozens of adorable farm animals. Be sure to check the museum’s schedule for seasonal exhibits and weekend events. 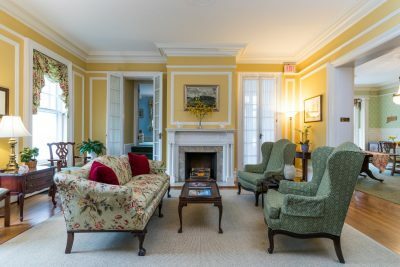 Located in the heart of Greenwich, CT, our inn has everything you and your family need to make lifelong memories including comfortable rooms and suites, delicious breakfast options, and a large outdoor pool to enjoy in the summer. What’s even better? We’re located near all of the family-friendly attractions listed above! Book your stay at the Stanton House Inn today and let’s start planning the family getaway you’ve always wanted. Don’t forget to download your free copy of our Greenwich Vacation Guide for more recommendations of local activities and attractions!